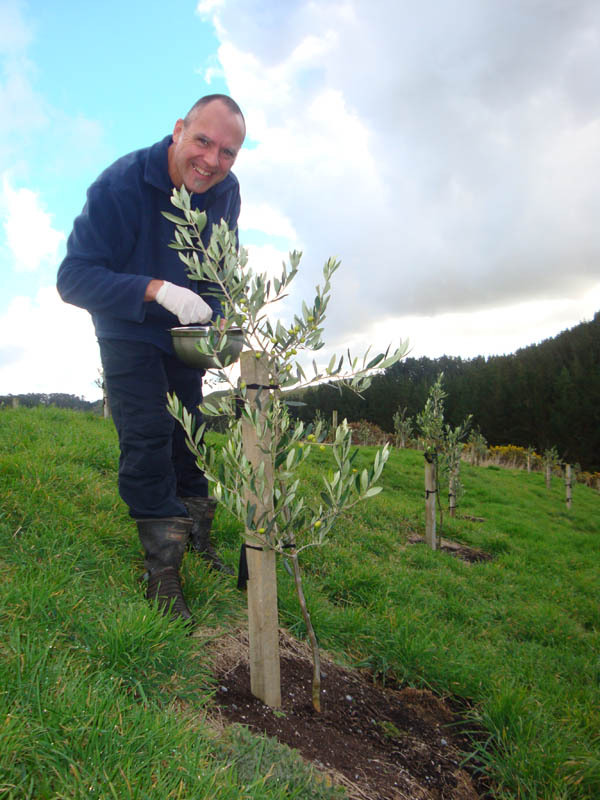 Palmy is not known to be one of the places with the highest amount of sunshine, which might explain why our olives were still greenish towards the end of June. Or (hopefully) the trees are just still way too young to support their fruit to full ripening - they are still only babies after all. But after some frosty nights, it was evident that some of the olives contracted frost damage, prompting us to count our losses and pick what is left. 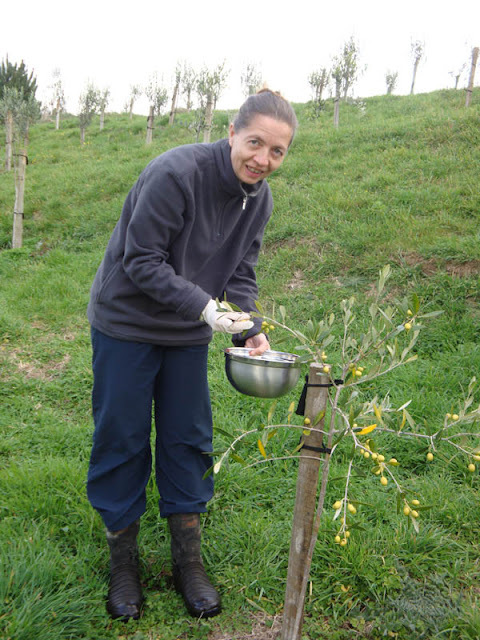 With the weather turning all wintery, it was clear that the olives would not ripen further. Maybe this will always be the case, but only time will tell. So with a container in hand, Gerry and I were outside, picking our total harvest in about 45 minutes flat. :-) It totaled just over 2kg. 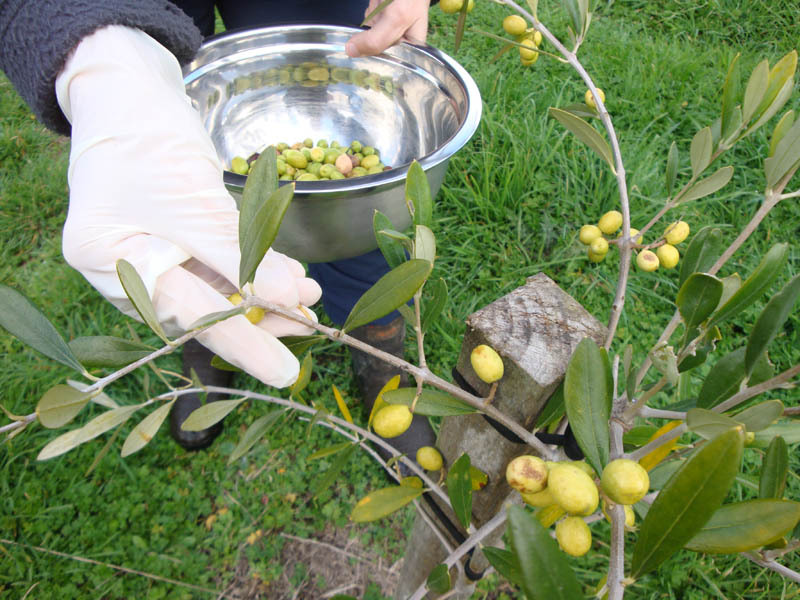 However, these included everything that remotely resembles an olive; frost, wind, and bird damaged olives in tow. We ended up using only about half of them in our first ever pickling attempt. More on this later. The frost damaged olives clearly visible. Some of the trees have about equal numbers of olives and leaves. Gerry at work on an Ascolano. 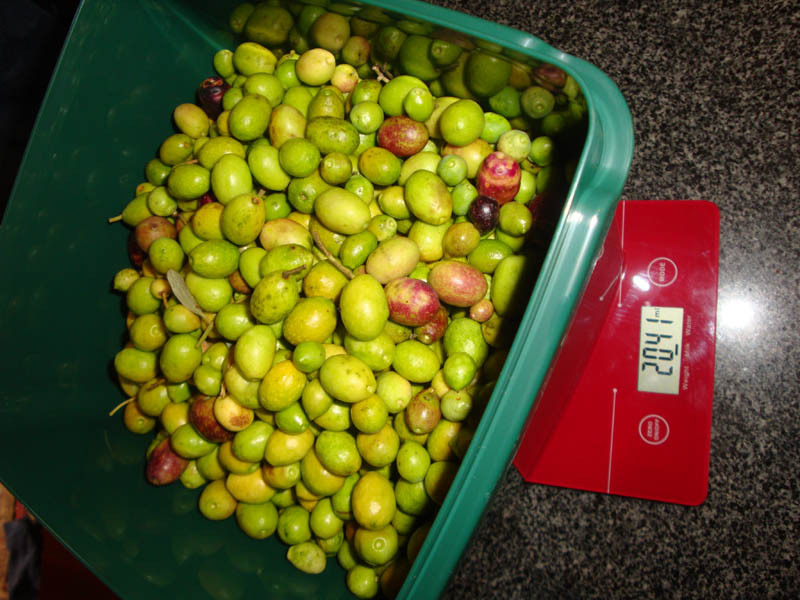 The complete harvest of 2012 - 2.041kg.